Always having Korean style meal, I craved very badly for pasta or pizza. So I did a research for a good pasta around Sinchon, Hongdae or Ehwa because they are located nearby my studio. 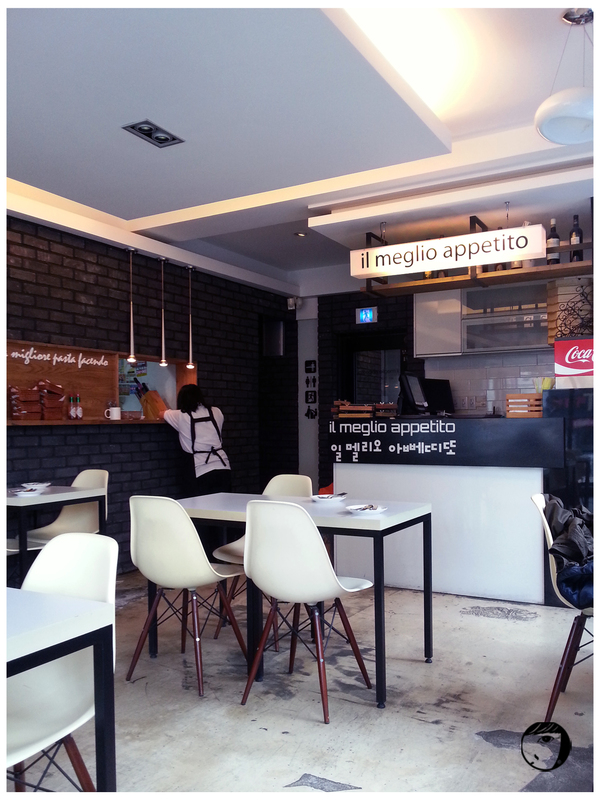 Then I come to know Ilmelio Appetito or in korean “일 멜리오 아뻬띠또” , a pasta house at Ehwa Woman University street or Idae 이대. Many have posted the food picture on Instagram and they look so mouthwatering. So I drag my friend with me last Saturday to give it a try on this pasta house. To my surprise, after finding on the map, actually I’ve passed by the building where the pasta house located at many times, and most probably the signage which they placed on the street too! 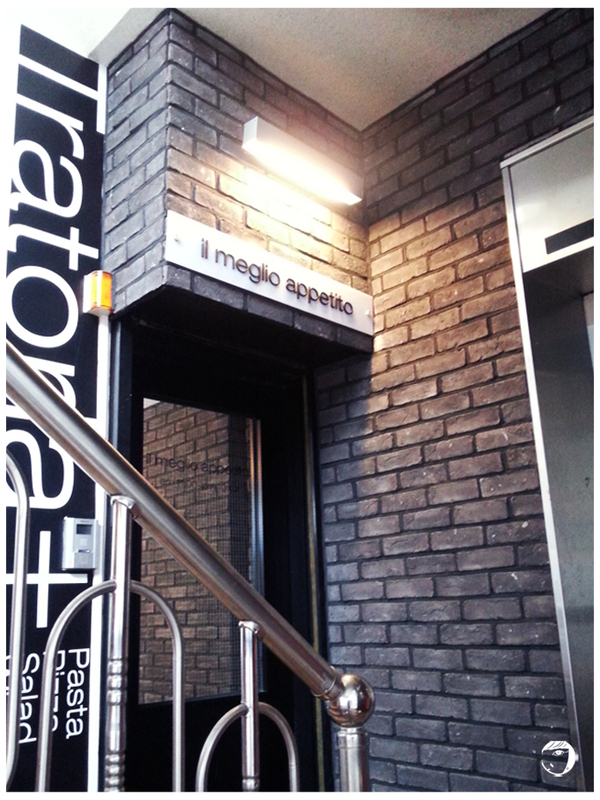 The restaurant is located on the 2nd floor, to enter the building, you have to walk to the small alley. You can take the lift or stairs and you will see the restaurant entrance. The restaurant is quite small, but the interior is modern and cozy. After ordering, they will serve you a glass of water and a free salad. They have varieties for pizza and pasta. 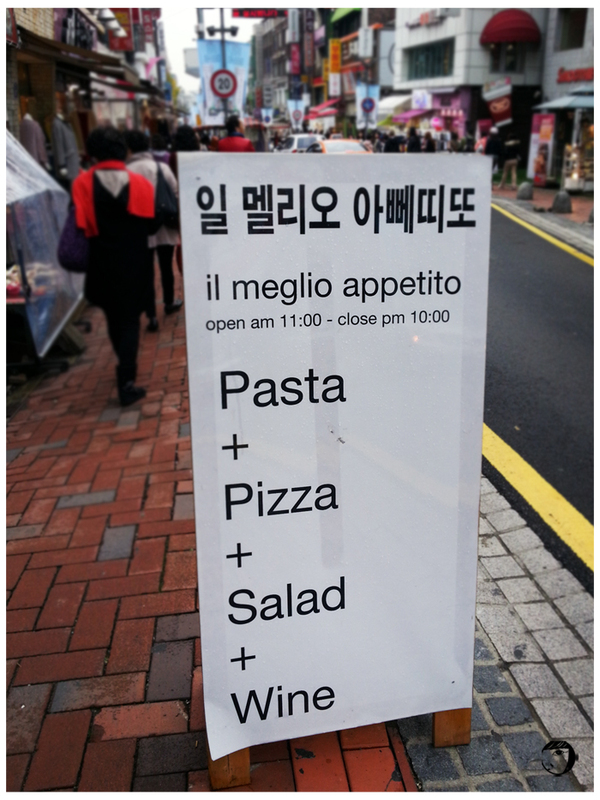 But their speciality is “Duo Mo Santa Maria Del Piore” or in korean “두오모산타마리아델피오레”. It is a cream sauce spaghetti served on top of a thick bread. Damn delicious!!! 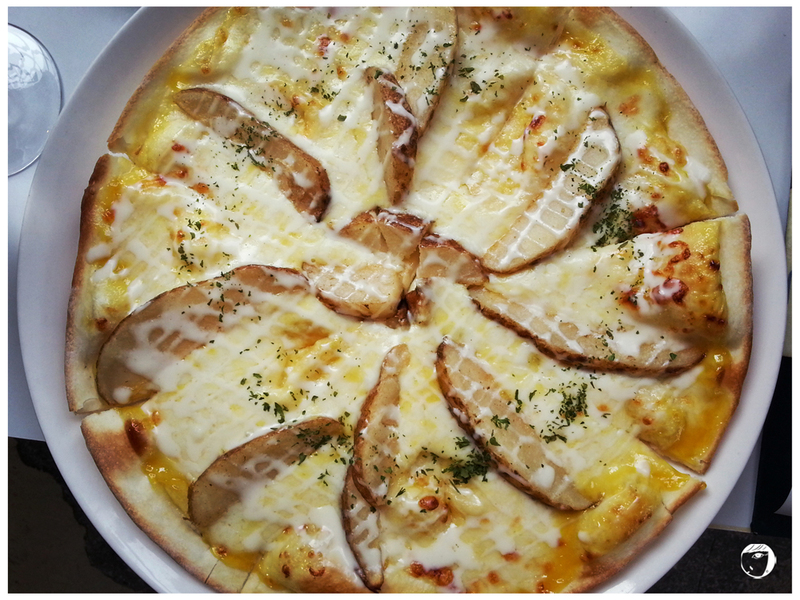 We ordered a pizza too and the waitress recommended “Piazza Spagna” or in korean “피아짜스파”, thin-sliced pizza with cheese and potato. 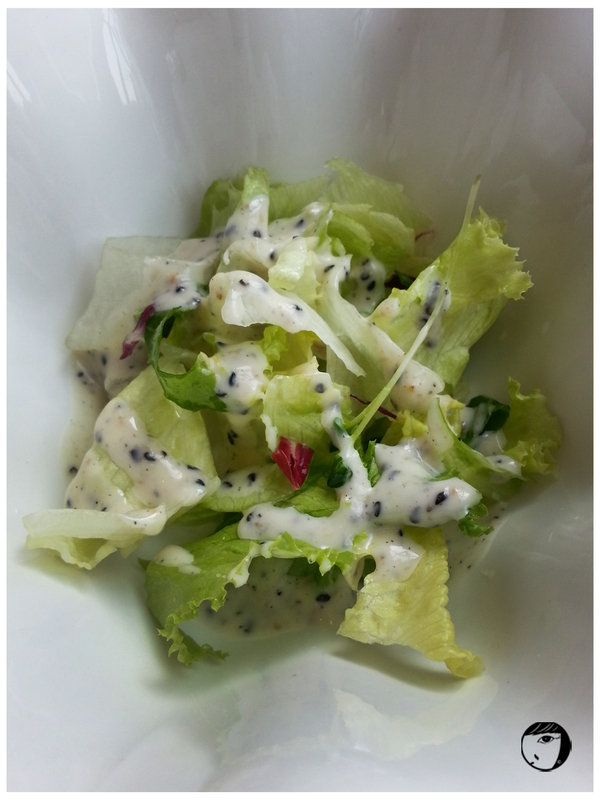 The salad is fresh, with caesar dressing with a hint of sesame taste. The food are very delicious. 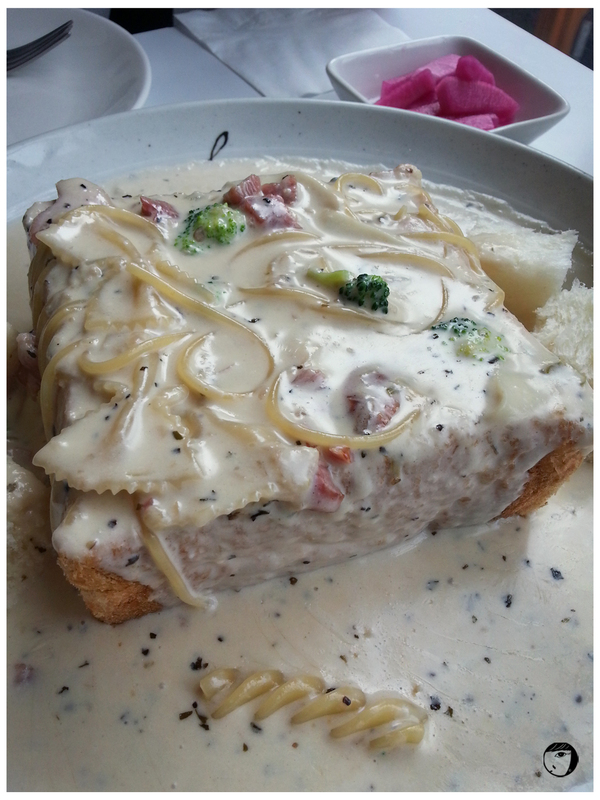 I love how creative they are to serve the cream pasta with a thick toast bread. The pizza is very unique too, because they put potato, not mushroom, capsicum, onion, or anything that usually topped on pizzas. The sauce is not tomato based, but cream and sweet mustard, such a good combination. I’m really happy to be able to eat a good and delicious pasta, that can satisfied my craving. I will definitely go back to this place again before I go back to Singapore. I can’t wait to try their other pasta and pizza! 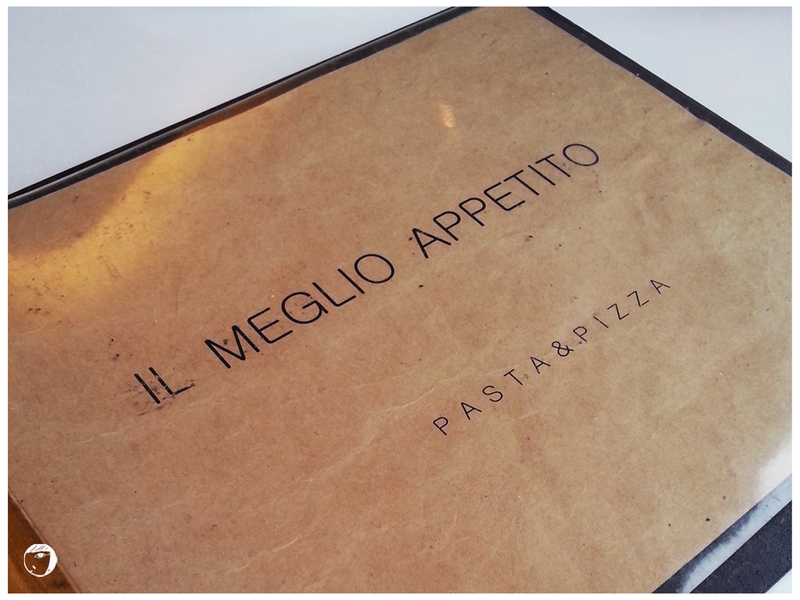 Il Meglio Appetito, see you soon (again)! Take subway to Ehwa Woman University Station, exit #2 . Go straight towards the entrance of Ehwa Woman University. You will see Dunkin Donuts. Turn left and walk until you see Top Ten/Kosney building. Il Meglio Appetito is the building right next to Top Ten/Kosney, on the second floor. Usually they will display the board (on my picture). I'm petite. A travel blogger and graphic creative. Always say YES to traveling and new adventures.